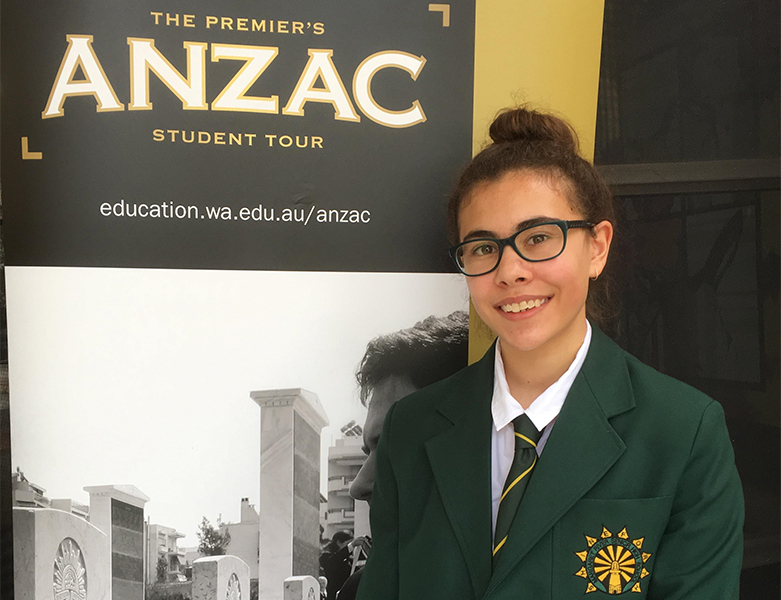 On 11th November – Remembrance Day – Year 9 student Emily-Rose Lochore was informed that she has been selected to be part of the 2019 Premier’s ANZAC Tour. As always the process to be selected was both rigorous and highly competitive with the students from across Western Australia competing for the limited positions. Emily-Rose will be one of only 10 Western Australian students to become ambassadors and represent Western Australia on a commemorative study tour to Vietnam between 16 and 26 April 2019. Emily-Rose joins a growing list of Margaret River SHS students and staff members to be successful in being selected for this annual tour.